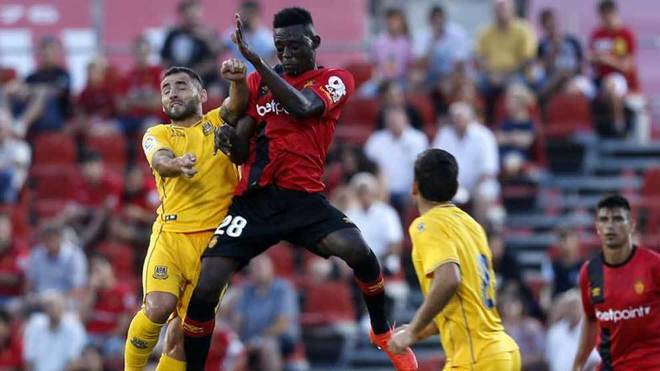 Ghanaian youth midfielder Iddrisu Baba was in fine form for Real Mallorca when they defeated Real Oviedo to secure qualification to the next stage of the Spanish Copa del Rey. The 22-year-old midfielder was handed a starting spot in midfielder and he lasted the entire period of the game. Mallorca secured the win thanks to an early second-half strike from Ferran Giner which gave Los Bermellones a slim 1-0 win which was enough to help them through. Richard Boateng, the younger brother of former Ghana midfielder Derek Boateng, was replaced after 70 minutes by the visiting side who have exited the competition. Baba has been at Mallorca since 2015 but garnered enough first team experience playing at Leganes and Barakaldo both as loanee. He is hoping to follow in the footsteps of TSG Hoffenheim defender Kasim Nuhu who played at the club between 2015 and 2017.